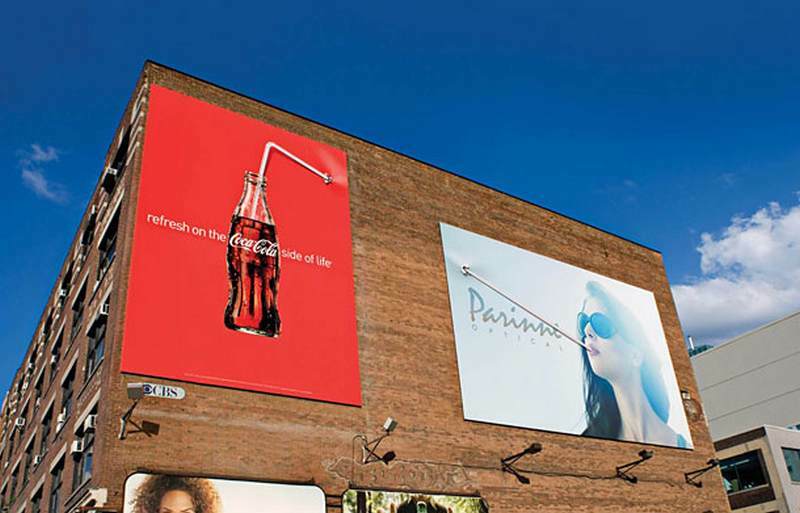 In this day and age of digital advertising you might be tricked into thinking that there’s simply no place anymore for traditional billboard advertising in a way that’s effective. But, as the following examples prove, there’s still room for genius and creativity when it comes to this old form of publicity. So while you set about building your next digital marketing strategy in front of your trusty Dell, remember that sometimes the old way of doing things can be just as effective. 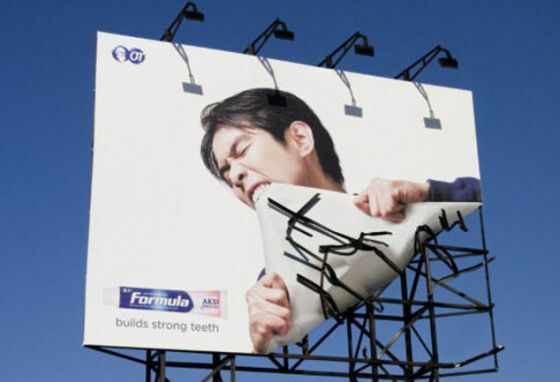 Created to illustrate Formula Toothpaste’s slogan of “builds strong teeth”, this billboard, appearing in Indonesia, plays on the theme by having the man in the image itself appear to be pulling the billboard away from its structure. Simple yet arresting, the turned corner really catches the eye and draws attention to the product held up in white space. Another similarly themed billboard that shows a single protagonist interacting with the structure itself, this example, from India’s JWT agency, uses a different optical illusion to make it appear as if the ad itself is being painted over and fading into the background of the sky. 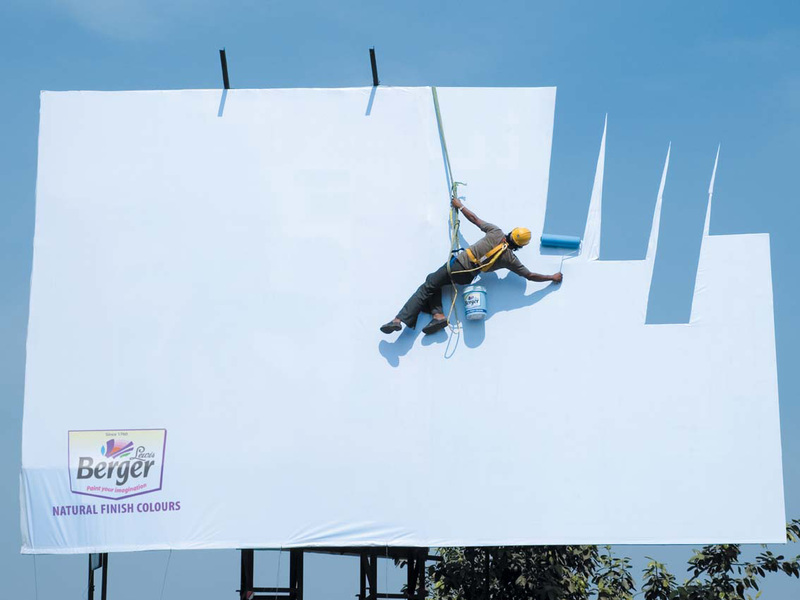 Advertising paint, this piece really helps accentuate Berger’s slogan; “Natural Finish Colours”. American courier company DHL really drives home their image as hard-working and stopping at nothing to get your delivery to you in time. 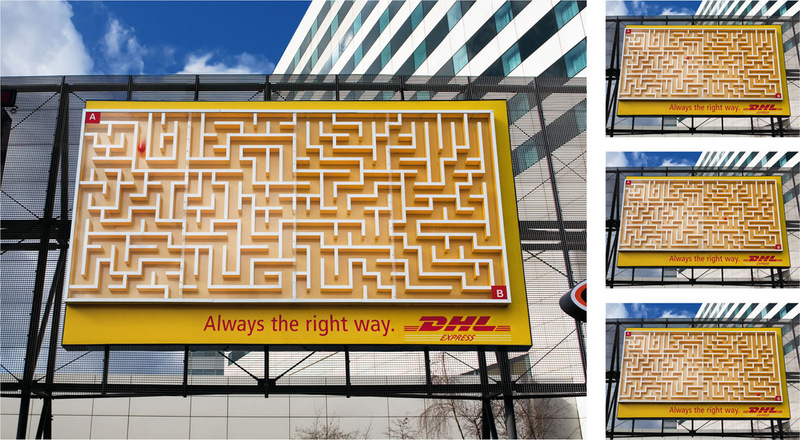 Thanks to this brilliant ad, that actually features an invisible conveyor belt within the billboard itself, the red ball sequentially travels through the gigantic maze on repeat, “always” finding “the right way”. Indonesia features again as a hotbed of billboard advertising, this time capitalizing on one of the capital Jakarta’s more common features, its mass of cabling suspending over roads and buildings. 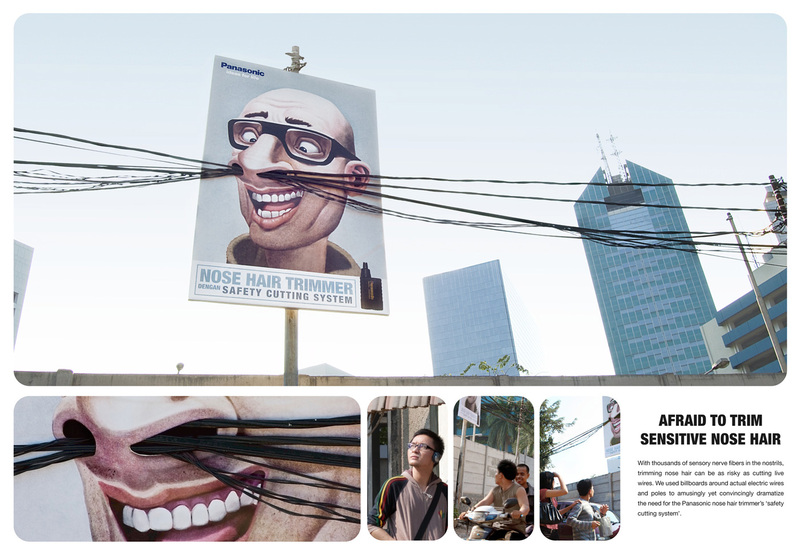 Used to highlight Panasonic’s nose hair trimmer, this billboard’s positioning behind power lines really show how much the figure in the ad really needs to use the product. Both genius and funny. 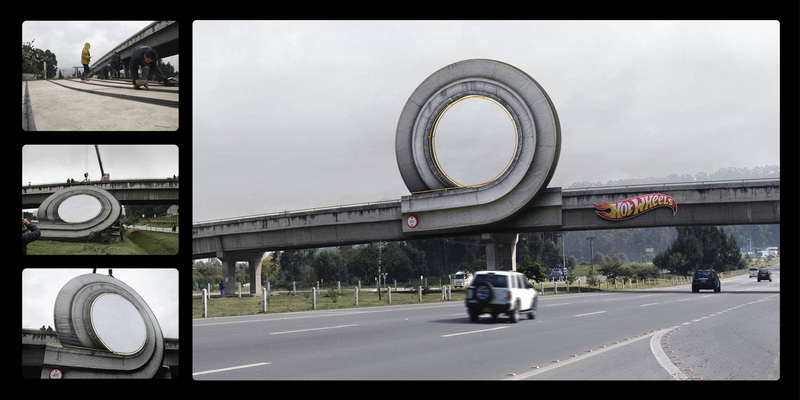 Toy manufacturer Hotwheels really pulled this one out of the creative bag while using very strategically placed billboard space to give the optical illusion of a bridge having a crazy a loop-the-loop section of road just like their toys themselves. Named “curl” this campaign fits right in with Hotwheels fun and extreme-racing themed brand image. Famous newsstand magazine The Economist took out some prime billboard space in the heart of London to raise the profile at the height of the print publishing crisis a few years back. Interactive, 3-dimensional and simply executed, passersby making their way across or under the billboard cause the bulb to light up thanks to a sensor. 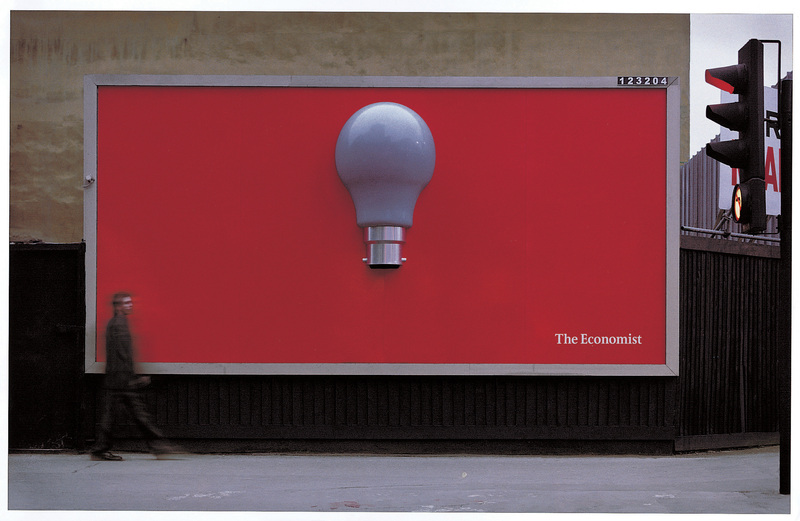 Reinforces the idea that reading The Economist can help create some key ideas. Who said billboards had to be boring? Hopefully some of these successful campaigns can help inspire you to think about marketing your business with a bit of panache and punch.